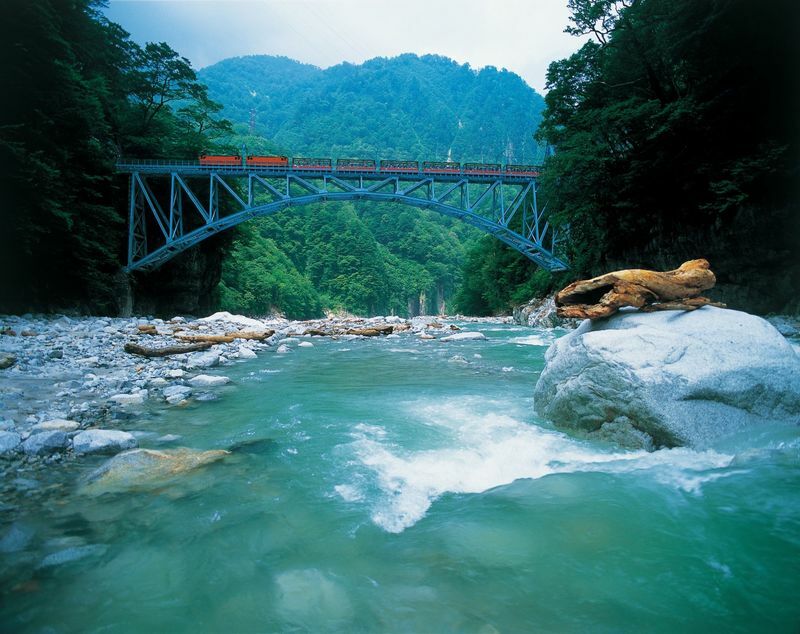 One of Japan’s three greatest valleys and the 100 mysterious lands of Japan, Kurobe Gorge. It is a scenic sightseeing area filled with spots where you can feel nature on your skin, such as cool yearning snow in summer and emerald green in Kurobe River. In this Kurobe Gorge, tours enjoying a spectacular view while being shaken by a torokko train, former cargo carrier are popular. “Torokko” is a freight car used to transport materials from construction sites such as tunnels and dams. 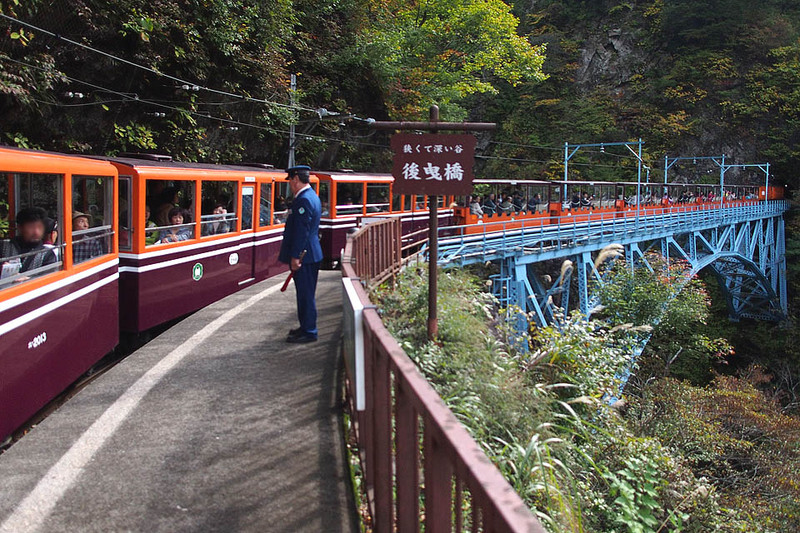 It is now used for sightseeing purpose and is familiar with the nickname “Torokko Train”. The train that crosses several bridges and runs through the tunnel continues to attract a lot of people. The Kurobe Gorge, where the torokko train runs, is a heavy snowy area, so it is operating for 8 months from April 1 to November 30. In the spring you can enjoy snow and fresh green in the valley. 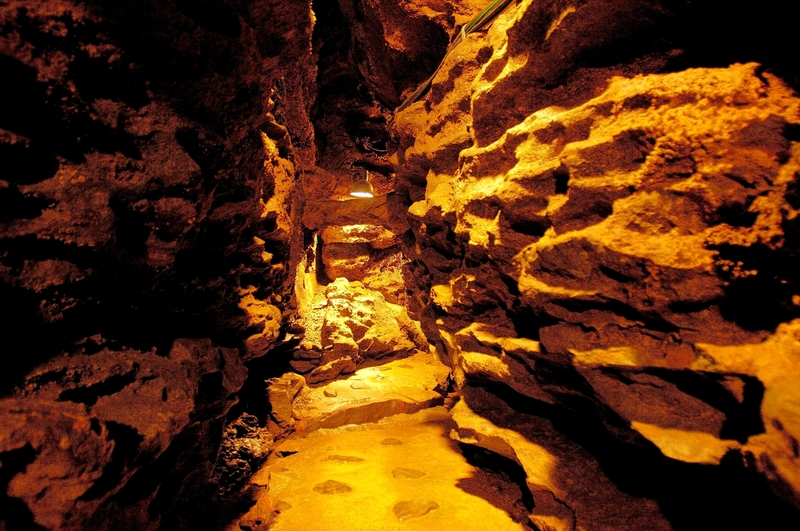 In the summer, the cold air in the tunnel is pleasant, the flow of the clear stream is also cool and ideal for summer heat. Also, from the end of October to the middle of November when you can enjoy autumn leaves, you can see the beautiful scenery such as the red and yellow-colored trees called “Five section dyeing of Kurobe” and the first crown of Mt. Sannabiki . As you can see, in any season you will be able to see a magnificent view during the torokko service. As the place to arrive by the torokko train is a mountainous canyon, shoes that are comfortable to wear are suitable. Because the temperature difference is severe in spring, please bring warm clothes just in case. 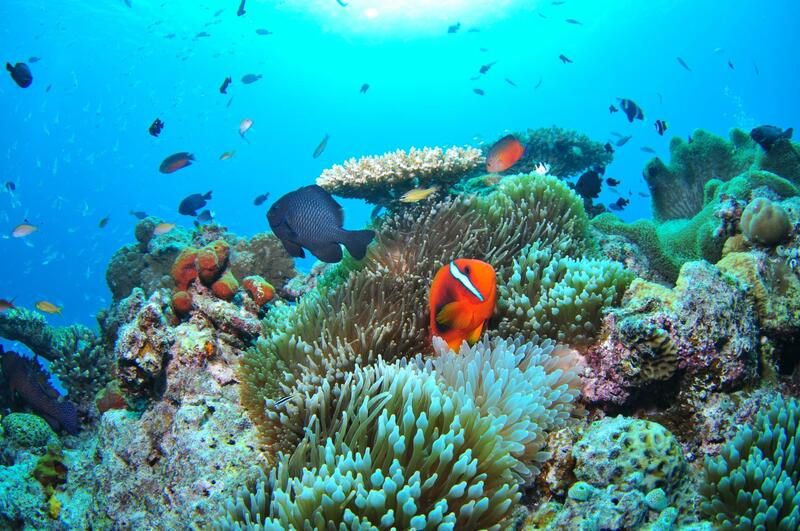 In summer, because it receives strong sunshine, let’s take measures against UV rays such as sunscreen and hat. As autumn gets deeper, temperature drops sharply, so clothes with excellent warmth are recommended. Since the weather of the mountain changes easily at any time, it is safe to prepare thoroughly in advance such as rain gear and drinks. Kurobe-kyokoku, located in the north part of Toyama prefecture, is a deep V-shaped gorge. There are the breathtaking cliffs and the astonishing natural beauties in there. 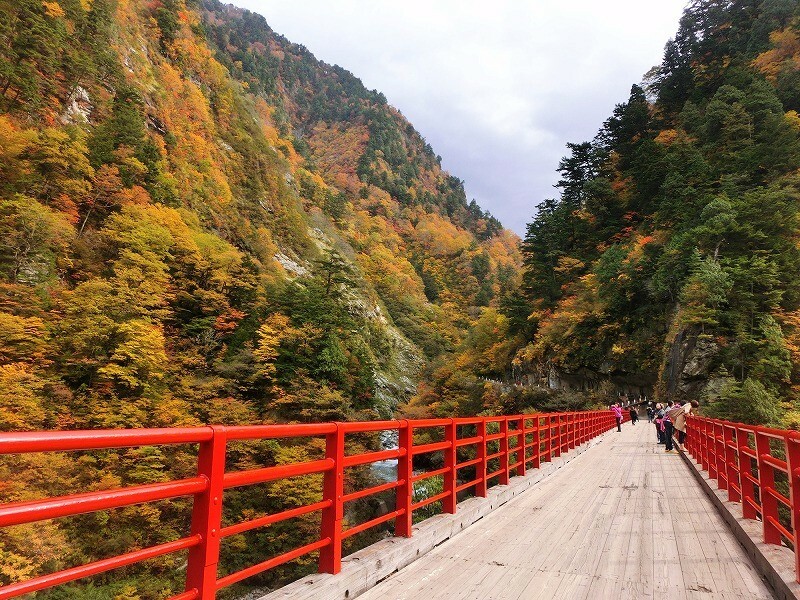 In the Kurobe gorge, visitors can enjoy 360-degree panoramic views, the trees of mountains changing color in every season, and the Kurobe River shining with emerald green which is the best clear stream in Japan. 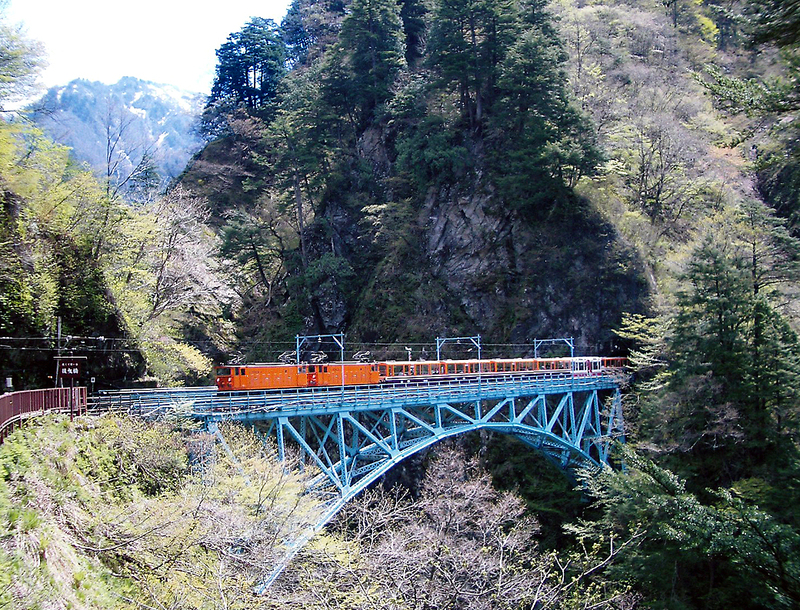 The torokko train which runs deep into Kurobe gorge has the roof, but not the window, so you can heartily enjoy nature of the Kurobe gorge. It is full of the seasonal highlight like spring trees verdant with young leaves, summer clear stream, autumn colored leaves. It runs through actual nature while passing through the many bridges and tunnels. 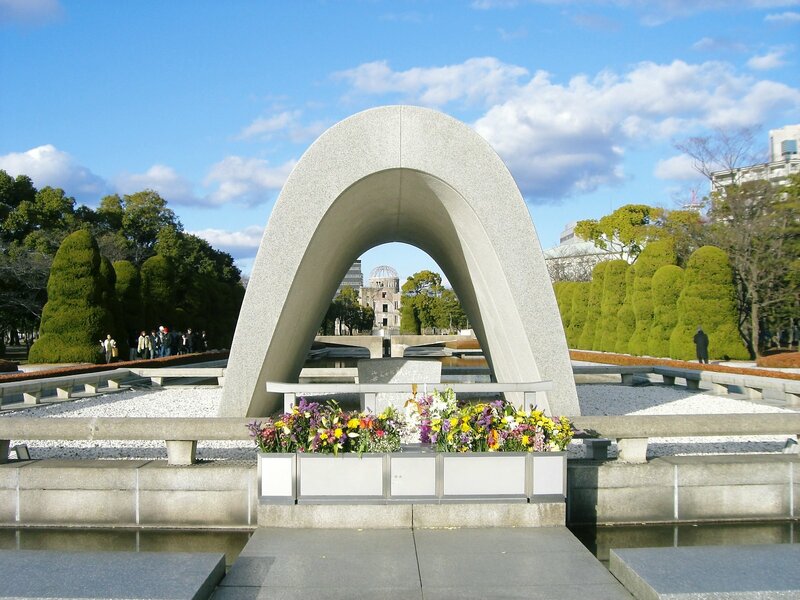 There are a lot of superb views such as Atobiki-bashi bridge of 60m in height to appear in the Kuronagi-gawa river, Unexplored open-air bath of the Kanetsuri hot spring, and Kinshukan known as a famous spot of colored leaves on the way. There are a restaurant and a souvenir shop in Kanetsuri-eki station and Keyakidaira-eki station on the way, you can have a break and a meal. 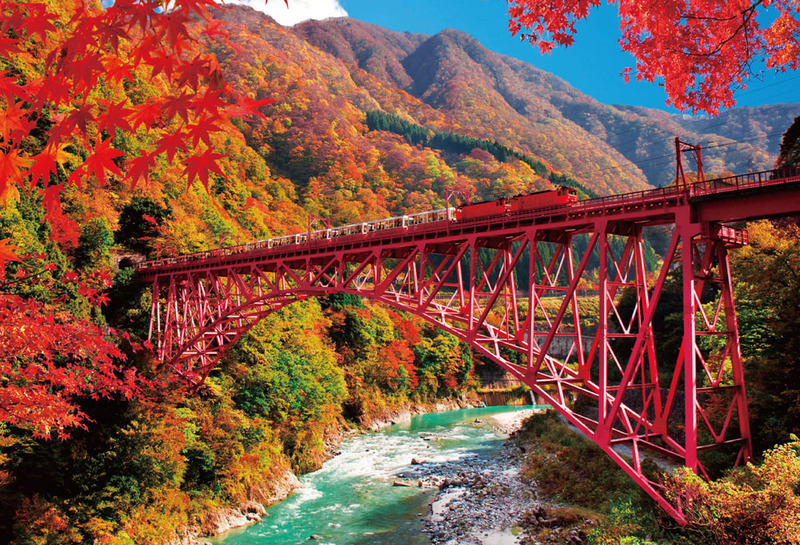 Let’s thoroughly enjoy the Nature of the Kurobe gorge all the day!